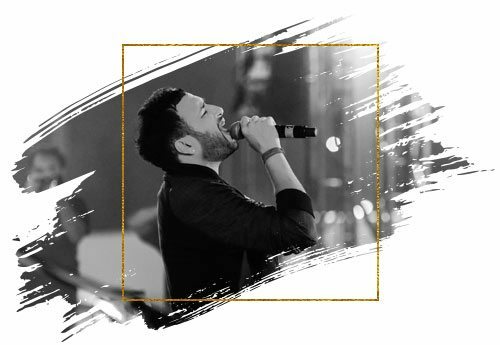 Ash King’s passion and strong talent for singing stems from his family of musicians. He spent his childhood surrounded by celebrated musical artistes with whom his father worked closely. Influenced early on by joining a Gospel choir and listening to soul artistes, Ash’s style and flavour deliver a sound that is easy on the ear and alluring even for those who aren’t drawn by his specialised genre. His Bollywood debut was in 2009 when he was discovered by maestro AR Rahman. Ash recorded ‘Dil Gira Dafatan’ for the film “Delhi 6” and became the first singer in India to promote the intermingling of Gospel and RnB into Indian cinema. Soon after, Ash continued to record several hit songs for renowned music director Pritam such as ‘Te Amo’ (Dum Maro Dum), ‘I Love you’ (Bodyguard), ‘Alizeh’ (Ae Dil Hai Mushkil). Ash then went on to sing countless hit songs for music directors, such as Vishal Shekhar ‘Meherbaan’ (Bang Bang), Vishal Bhardwaj ‘Carbon Copy’ (Drishyam) as well as several regional songs. Internationally Ash featured on the official Asian remix for Lady Gaga’s Bad Romance which appeared on her album “Just Dance” and his song “Love Is Blind” went to number one in the UAE music charts and has amassed over 20 Million combined views on YouTube. Ash’s most recent hits are ‘Bandook Meri Laila’ composed by Sachin Jigar, and ‘Baarish’, from the film ‘Half Girlfriend composed by Tanishq Bagchi. ‘Baarish’ on its debut release, the song had over 9.7 Million views in one day, the song has since then surpassed a 190+ million views marking Ash’s biggest hit to date. 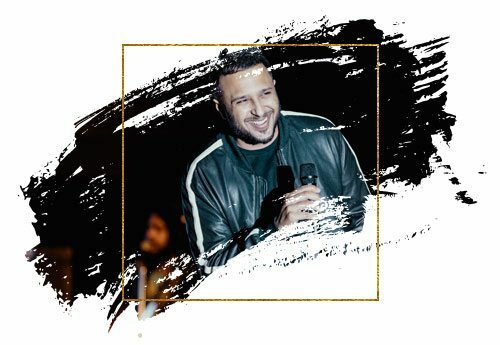 Ash’s talent has taken him across the globe performing on prominent stages like Canada’s Celebration Square, Glastonbury Festival to name a few as well tours all over India and shows in Trinidad, UAE and London. His TV appearances have included BBC Live Lounge, being a part of the Grand Jury on the top Indian singing reality show ‘SA RE GA MA PA’, a celebrity guest on The Voice (India), ‘MTV Unplugged’ – Series 2’, in which a whole episode was dedicated to his Bollywood Hits and Independent songs. Ash is currently working on his Independent music and projects that are set to release in 2018.